Bender UK has been commended for the high levels of service it displayed on a £5.5 million project to create two state-of-the-art laparoscopic theatres at Good Hope Hospital in Sutton Coldfield. Bender UK has been commended for the high levels of service it displayed on a £5.5 million project to create two state-of-the-art laparoscopic theatres at Good Hope Hospital in Sutton Coldfield. 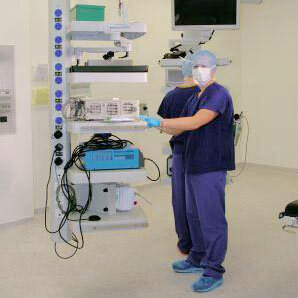 Theatre 7 is a multi-functional gynaecology theatre which will be used for endoscopic as well as laparoscopic surgery. 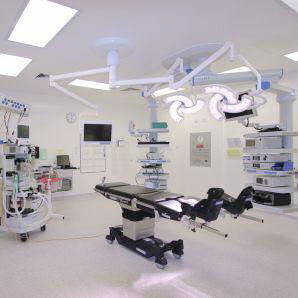 Theatre 8 will be dedicated to gastro-intestinal surgery. Around 2,400 gynaecology and gastro-intestinal patients each year will now be offered minimally invasive laparoscopic surgery carried out using high definition video cameras which enable surgeons to see inside patients avoiding large incisions. Interserve, the main contractor on the project, commended Bender UK for the supply installation and commissioning of IPS systems with EDS insulation fault detection, and UPS units for each of the theatres.